This post has been sponsored by Wayfair. All opinions & comments are 100% mine, I only promote products I believe in. I’ve been working hard on my New Year Goals, mainly the ones that revolve around my home. At the beginning of the year I decided I was going to try and focus on finishing up all the small projects. Whether it’s finishing the last little details on a project or maybe making small updates, I wanted to cross things off my list. 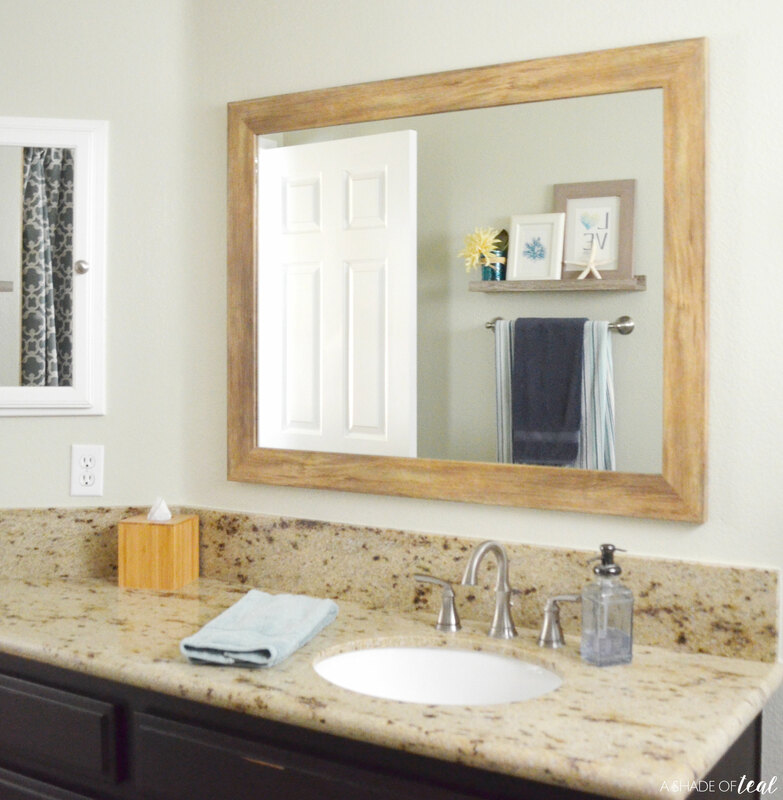 I’ve already completed several small projects, which I plan to share more of, but 1 project that has been on my list forever has been my hall bathroom mirror. 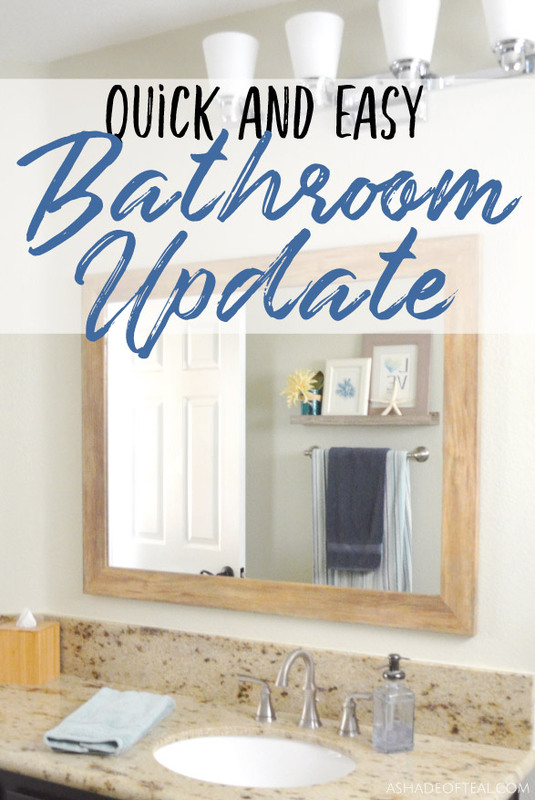 My upstairs hall bath has been complete for a few years now, but the final step was updating the mirror. 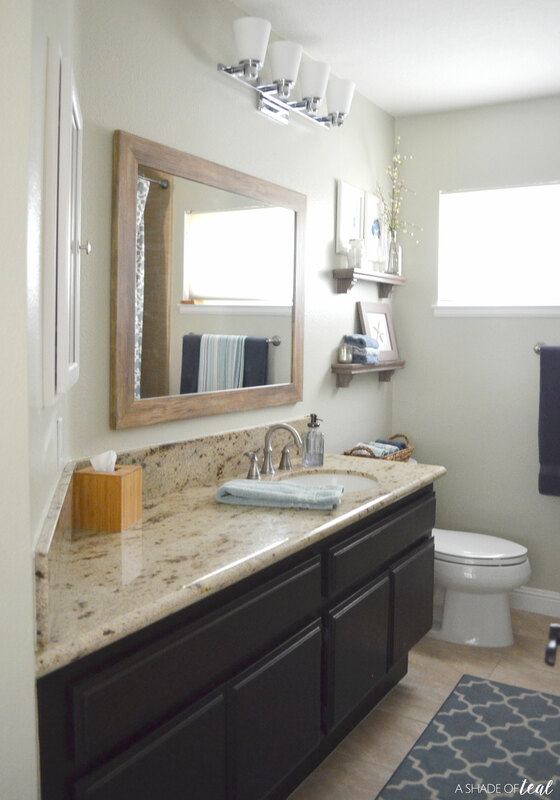 When I first started the space I removed the large and extremely heavy builder grade mirror. I ended up using an old mirror that I had as a placeholder and it’s been there ever since. Well, keeping with my New Year Goals it’s finally updated! 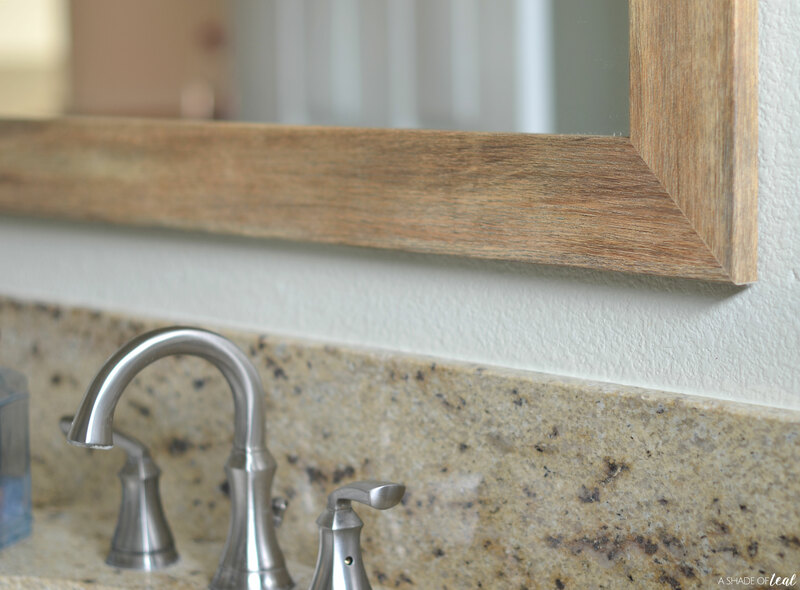 I searched far and wide and found the perfect rustic looking Barnwood Wall Mirror from Wayfair! It has a natural wood grain that matches my existing shelves perfectly and it’s just the right size for the space. 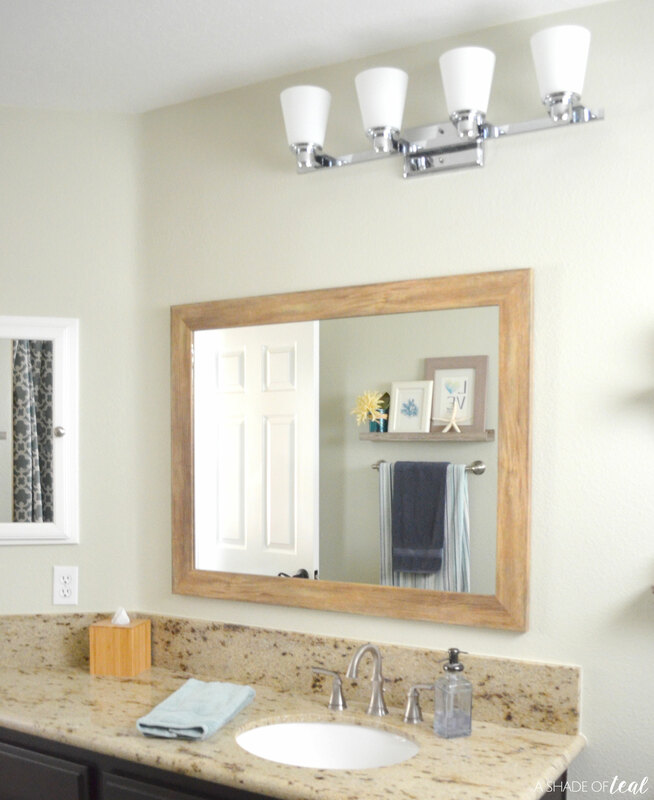 Wayfair has so many options when it comes to accent mirrors, from traditional to rustic farmhouse, they have endless choices for any style. 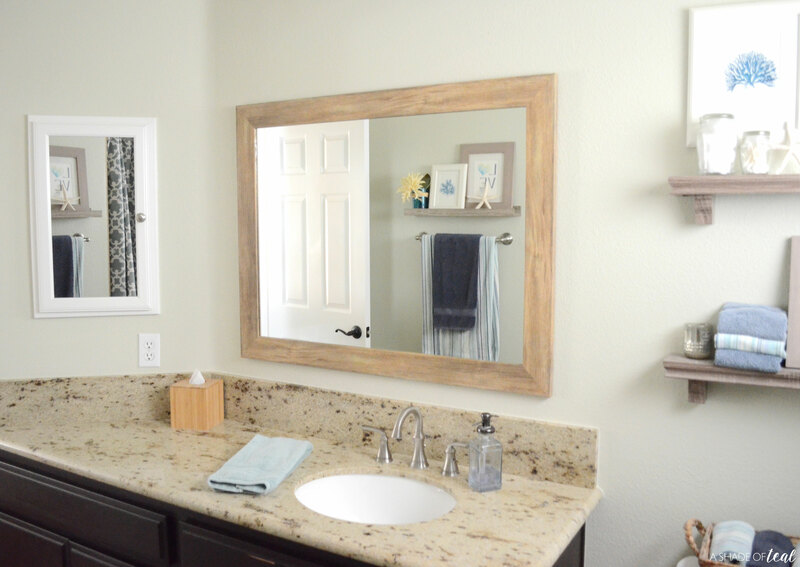 The mirror I purchased was the Barnwood Wall Mirror in the 41″ H x 32″ W size. It’s amazing how 1 piece will instantly update a space. I’m absolutely loving the new addition plus I’m loving that I finally checked this task off my list! 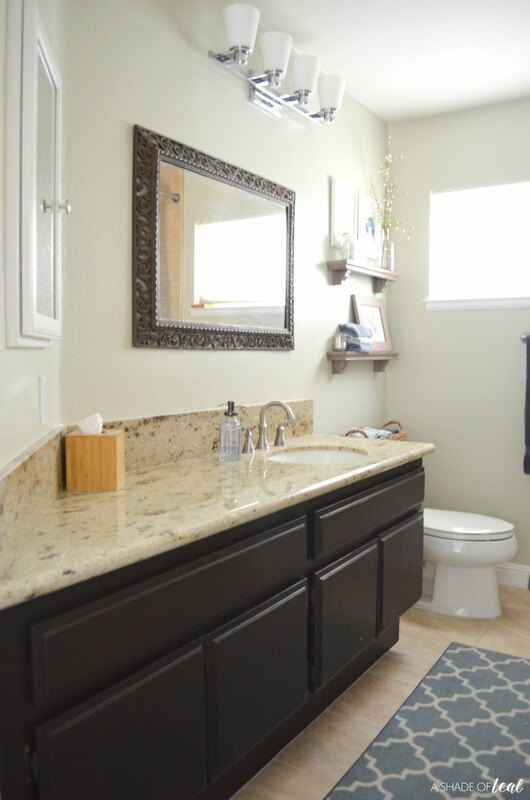 Have you set any New Year goals for your home? 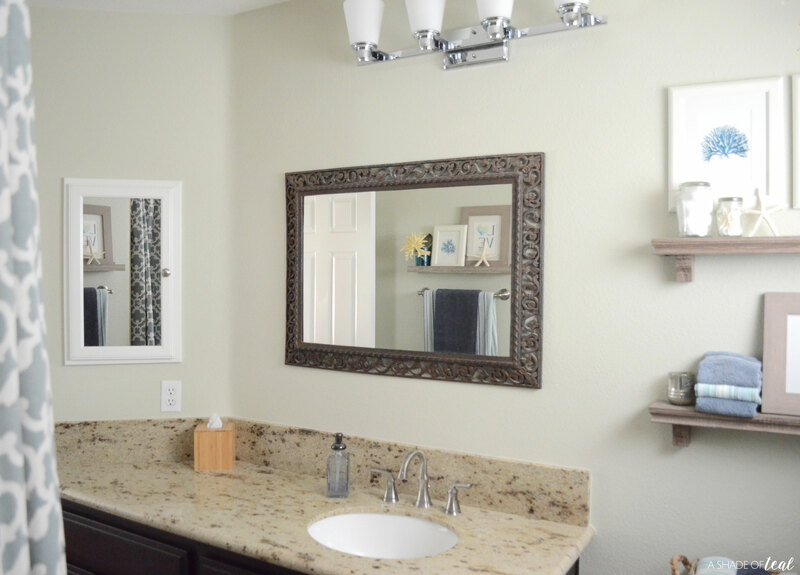 Don’t forget to go check out Wayfair’s great selection of bathroom and accent mirrors. Make a Room Unique with Custom Art & Decor from Minted! It turned out so pretty. 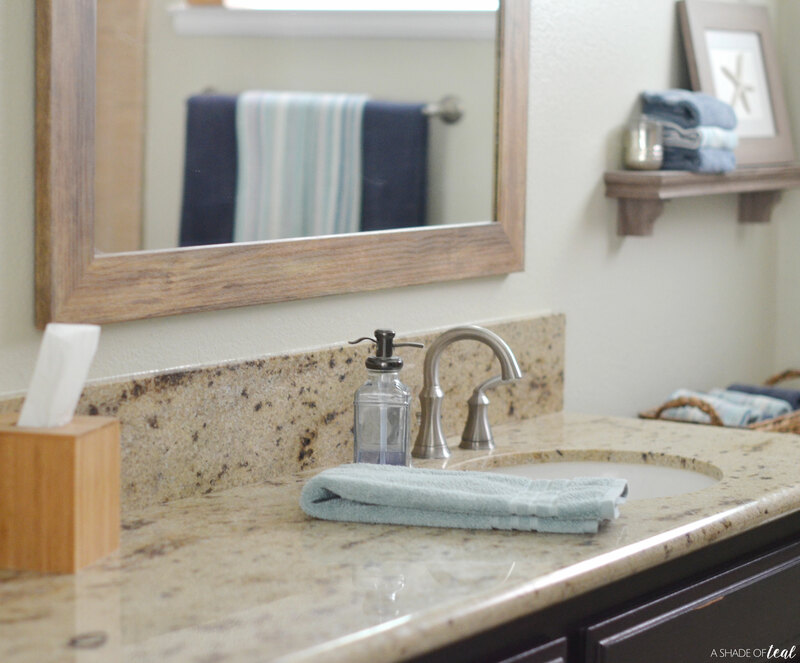 It still shocks me how one small update can change up the whole feel of the room!